Our CRM’s are produced from metal powders used in fusion bed printing process and are certified for a range of major and trace elements as well as provide informational values for additional trace elements. 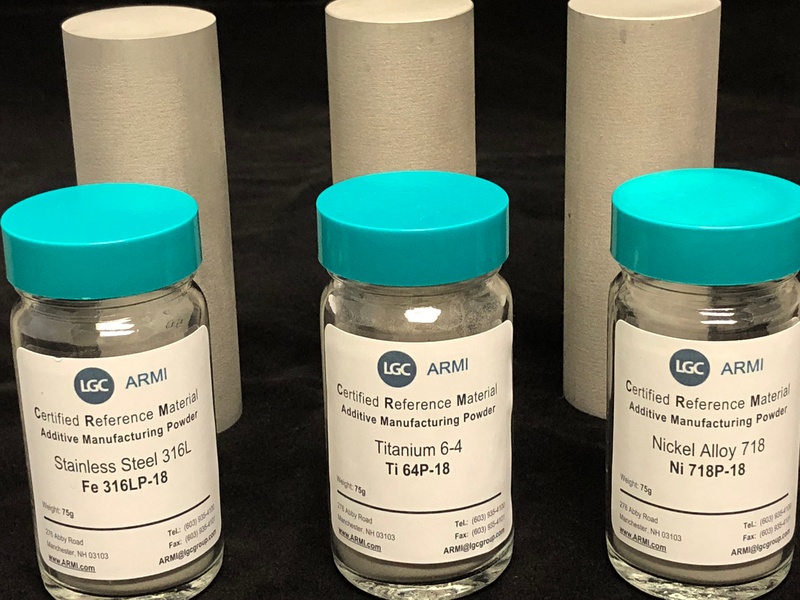 These reference materials are available for the most common metal alloy grades used in the additive manufacturing process including stainless steel 316L, Inconel 718 and Titanium 6-4. There are several types of 3D metal printing technologies, but most use a fine metal powder that is then fused by a laser and the part is built up layer by layer. 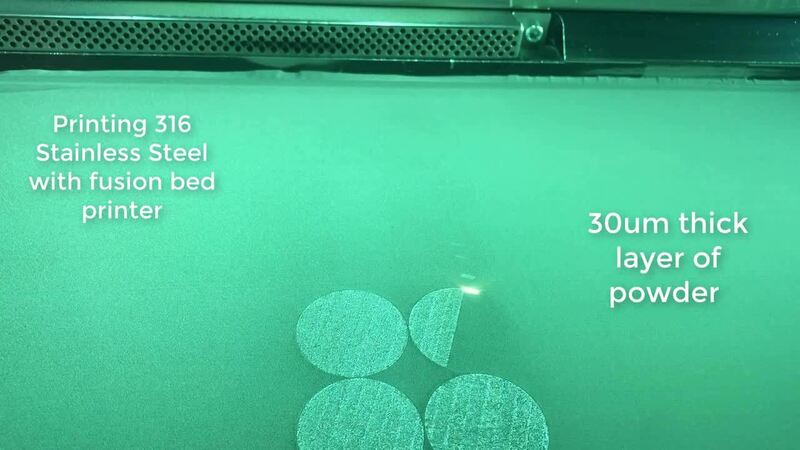 The example below shows a laser bed fusion printer printing stainless steel cylinders from a grade 316L powder. In this example the layers are built up 30 µm at a time. Given the importance of verifying the quality of parts printed from these powders, we introduce the first certified reference materials for metal additive manufacturing processes. These first reference materials are produced from powder developed for fusion bed printers and include three of the most common grades using in printing today. These CRM ‘s includes a stainless tell grade 316L, a Titanium 6-4(grade 5) and an Inconel 718. These powders are appropriate for analysis using ICP-OES, ICP-MS and can be rapidly digested for analysis using the ColdBlock sample preparation system. Visit our new product page to view and download the certificates of analysis for these products.